BROMSGROVE will be looking to claim a fifth straight victory in National Three Midlands when they host Sutton Coldfield tomorrow (Saturday). 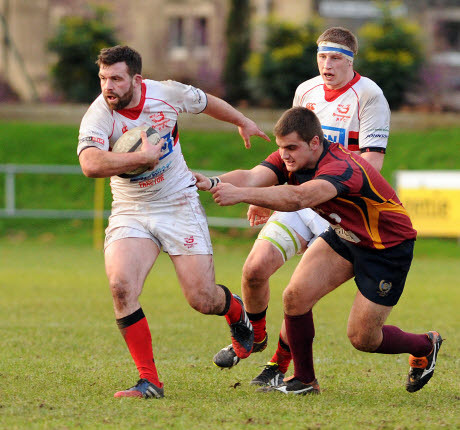 The Finstall Park side rounded off an impressive month with a 35-19 win over Bournville, which saw front row duo Bobby Green and Jamie Tsang both got on the score-sheet. But head coach Dan Protherough will be hoping the Christmas break has not disrupted his side’s run as they look to push on in 2015. Sutton Coldfield, meanwhile, will also be aiming to bounce back after they suffered a 35-10 defeat at home to Nuneaton. The West Midlands outfit currently sit tenth in the table having already suffered eight defeats this season, but Sutton appear to be turning things around as they have won two out of their last four games.